A special 10th anniversary price on one of Roach's career highlights, and certainly one of the peaks of his earlier output, along with DREAMTIME RETURN. Steve's first solo release after moving to Tucson. Stark, other worldly tribal-atmospheric pieces signal an inspiring period of transition. Disc two is a single 60-minute piece with a subtle Tibetan undercurrent. Not as well known as other titles but a recommended "rediscovery" to new and seasoned listeners alike. "Steve Roach has become so prolific of late, that one can almost get lost in the whirlwind of new releases of his. 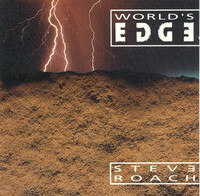 It's refreshing to take a step back and re-examine one of his earlier gems, the 2-CD set 'World's Edge' from 1992. Given the top-notch production quality of his latest releases, one might expect his earlier works to pale somewhat by comparison, but if anything I respect this more upon hearing it again now. The cavernous echoing drones blend perfectly with tribal influences, setting the standard for his future works. I love the way this release is laid out musically. On disc one, the listener is able to sample from a variety of sounds, with ten tracks ranging from three to ten minutes. The title tracks opens with formless pools of very smooth ambient sounds. The echoes resound even deeper as a simple tribal beat enters the scene. The beat anchors the rest of the piece, which swirls and evolves around it in a variety of soft atmospheres. 'The Call' features rapid, light drumming, very primitive sounding. The percussion is sensational, and is the centre-piece here. 'Steel and Bone' literally sounds like these two materials being rubbed and clacked together. Although the shortest track on the CD, it is one of my favorites. Disc one alternates very rhythmic and very ambient pieces, such as the quite fluid 'When Souls Roam,' one of a handful of tracks completely devoid of discernible rhythm. The mood ranges from quietly reflective to relatively intense, such as the restrained primitive passion found in 'Beat of Desire'. After getting to snack on several tasty morsels, disc two allows us to feast on a single track, 'To The Threshold of Silence.' It is a perfect piece of sonic exploration, from the opening deep gong-like drones to the long, slow fade out. In between, the music floats flawlessly from one theme to another, changing ever so delicately as it progresses. The entire track is a sound collage of light and dark, of shimmering bright highs and deep booming lows, all deftly placed and executed. The subtle details are superb. A listener I know says he has memorised every note, he is so enthralled with it, and it is easy to see why. Whether listening passively or with great attention to every detail, a rewarding listening experience is virtually assured. 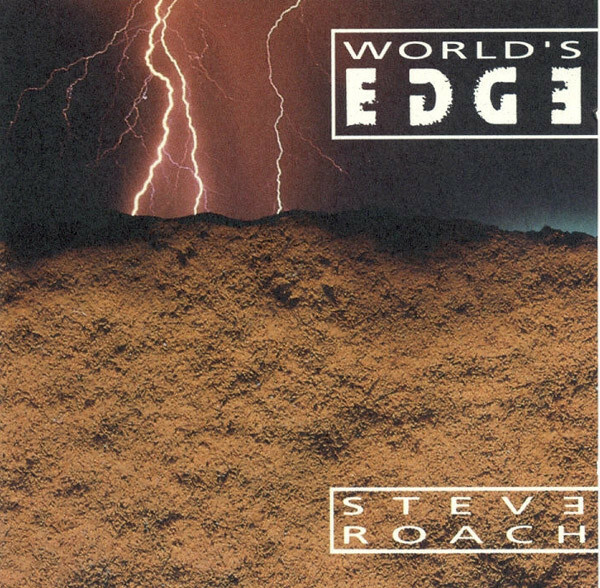 This is such a good overview of Steve Roach's musical moods and styles, it would be an excellent place to start for the uninitiated, and I can't imagine a seasoned Roach fan not having this in their collection."